“ironing” of wrinkles from inside the skin to make skin smoother and even. What are other names for this procedure? Many, actually. In classic medicine, we call it subcision (it can refer to many types of release of fibrotic (scar) tissues – acne, post procedure scar, chickenpox depressions, wrinkles, face assymetry etc). This group of procedures also being refered as “separation” – separation of skin from pulling down tissues. It is also called subcutaneous incisional surgery. The central face modification of the procedure is being called french subcision in cosmetic physicians circles. 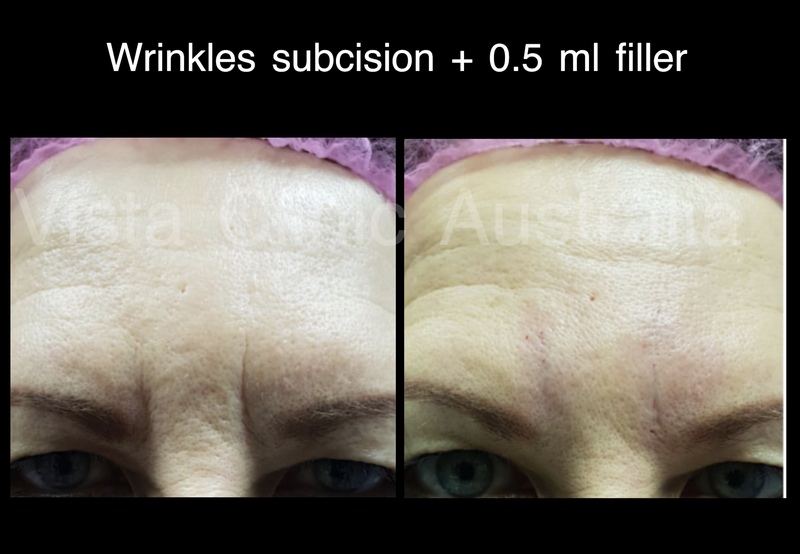 What is wrinkle subcision and what is it for? minor surgical procedure to relase skin (cutaneous) depressions such as acne scars, wrinkles, nasolabial folds, marionette lines (“sad wrinkles” under mouth), smile wrinkles, jowls lift, eye wrinkles, neck bonds, neck wrinkles, double chin, forehead wrinkles. 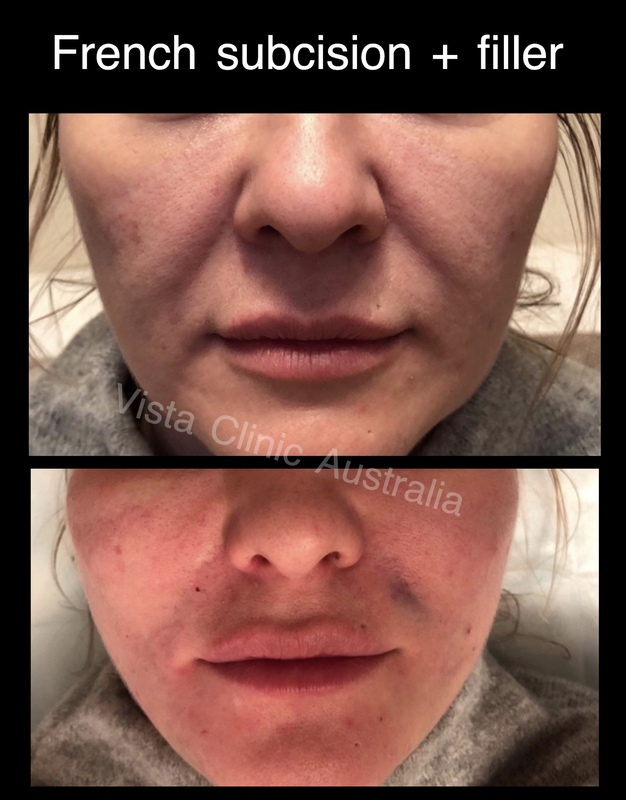 Dr Larissa Miller at VISTA clinic Australia also using modified subcision for knee wrinkles and “cellulite” fat deposits irregularities (“Uneven look of thighs, abdomen). No. 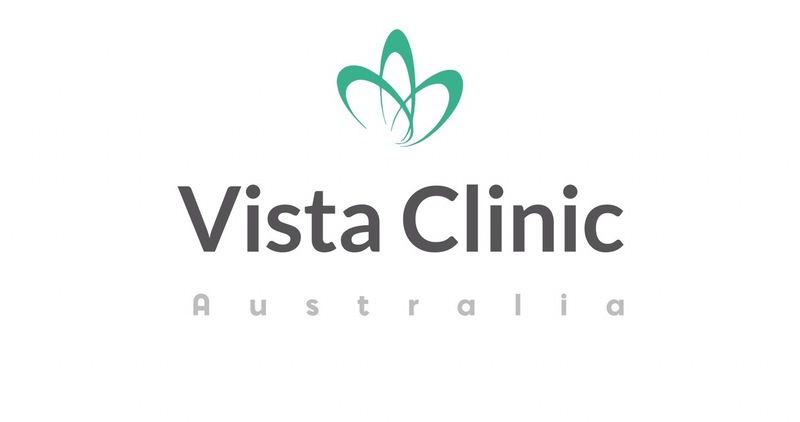 Patient well beeing and wishes is a priority at VISTA Clinic Australia. The procedure is usually performed under local anesthetic, similar to dentist procedure. 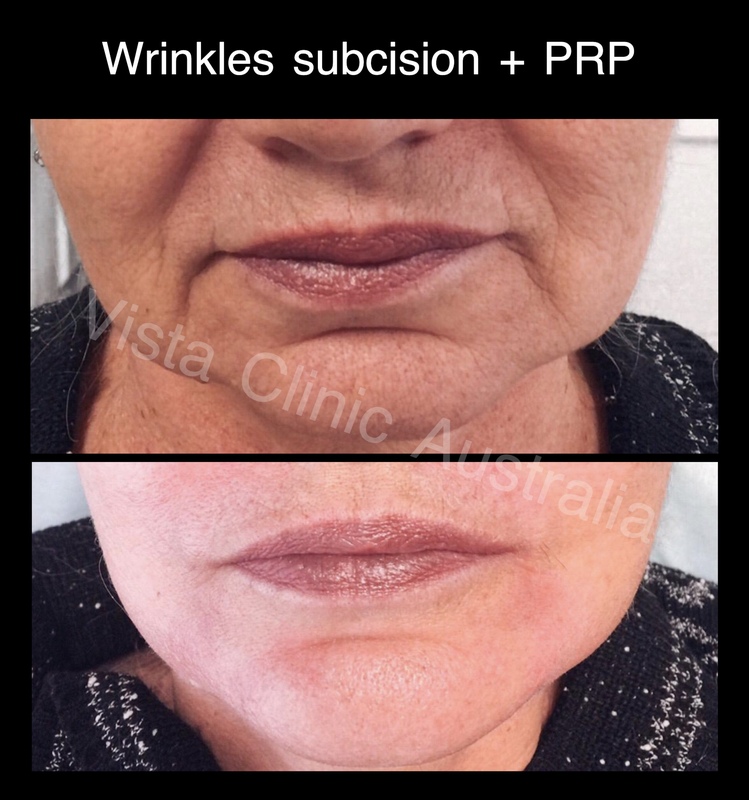 VISTA Clinic’ experienced cosmetic physician will put a strong, prescription only numbing cream, then inject local anesthetic. After that the procedure is painless. Additionally, Dr Larissa Miller is using adrenaline with pain relief to reduce chance and amount of bruising. Some patients prefer to tolerate pain without pain relief to reduce downtime. What are side effects and downtime? Usually cosmetic subcision of minor facial defects is well tolerated and reasonably safe procedure. Most commonly cosmetic patient will have bruising. In fact, this is a part of the procedure as bruise induce collagen production and skin tightening. Bruising lasts from 2 days to 2 weeks. Usually 2-3 days. 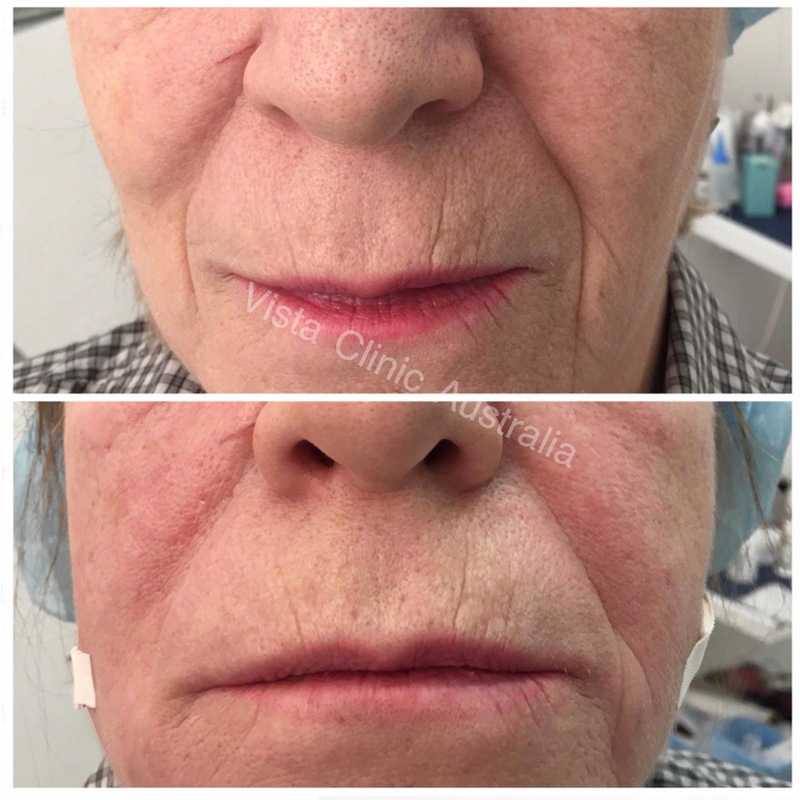 You can reduce bruising time twice with a coral peel, exclusively available at VISTA Clinic Australia in Melbourne. 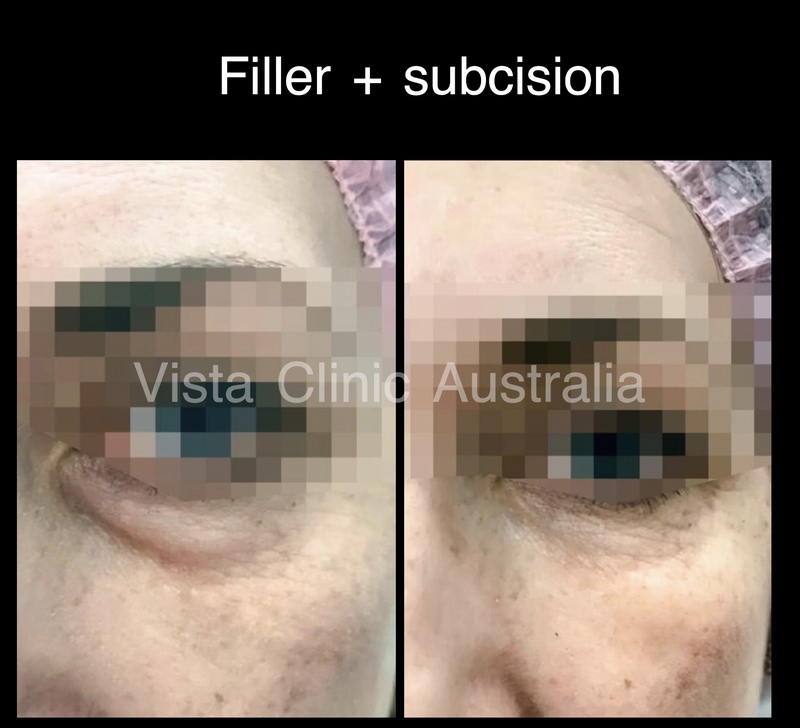 Although we never had such complications @VISTA clinic Australia, theoretically it can be assymetry, lumps, infection, unsatisfactory results, nerve damage and unevenness. Individual and depends on the severity of cosmetic . Mild cases need only 1 procedure. 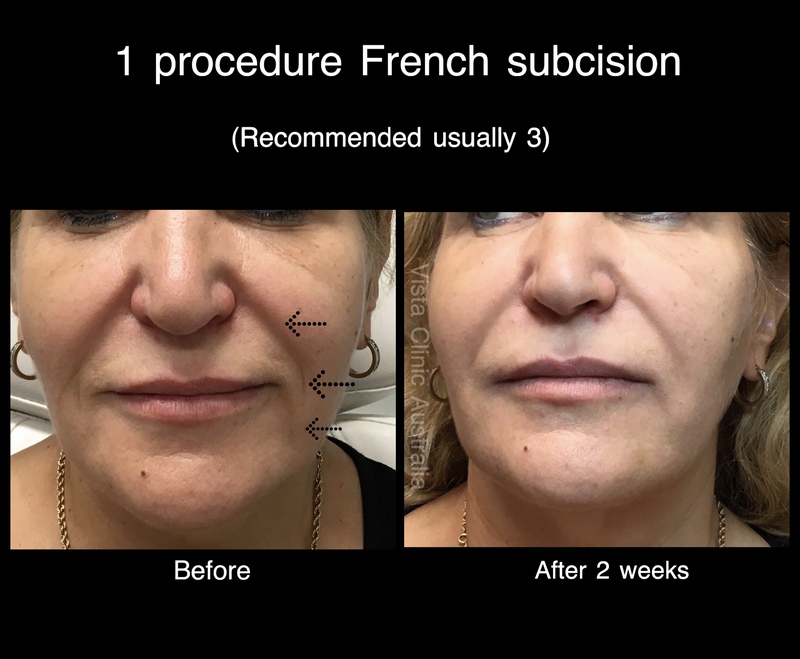 Usually, french cosmetic subcision protocol is to have 3 procedures and then 1 procedure a year to maintain. Our cosmetic patients can decide themselves. 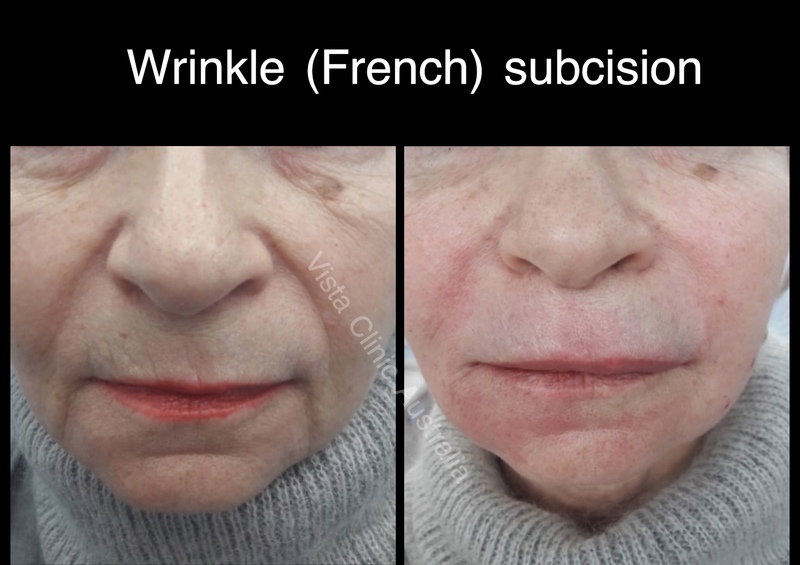 How Wrinkle (French) subcision works? What is a mechanism? Specially designed precise cannula is moving safely through high density and fibrotic, scar tissues. On the way, the fibrotic strands, pulling skin down, are being released. Sometimes, cosmetic physician may also prescribe a dermal filler to fill the depression and provide optimal healing conditions. By creating an even base under the skin, the face appearance improves. How much the cosmetic procedure cost? 1st procedure is $500, each subsequent $450. It’s for 1 area (most common area is Nasolabial + Marionetts +smile lines). neck is more precise and long, it costs $600. Anesthetic, mask after are included into the price, you don’t have to pay additionally. What are best combinations with cosmetic treatments? Expert cosmetic doctor will prescribe you with the best option, depending on your individual situation, underlying cause, your health etc.